New planet, new hybrid, and Alien Bestiary, OH MY! The Alien Bestiary Kickstarter for Starfinder and 5E (and maybe soon for Pathfinder, stay tuned!) has rocketed past its funding goal over its opening weekend and now past its first stretch goals as well, unlocking beautiful full-color clear plastic pawns and a massive PDF art gallery! No more trying to cover the stats and creature name with one hand while showing off its picture with the other! Next up, the backers get to choose which Cosmic Constructs will find a home in the Alien Bestiary! Junk golems? Walking eyes? Myrmidon warbots? YOU DECIDE! 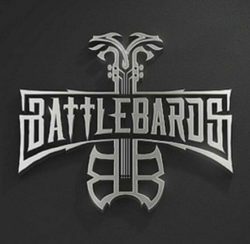 Check out the Kickstarter right here and spread the word! Even more awesome space adventure awaits you in the latest Legendary Worlds coming your way! The newest world, the dream-haunted wastelands and badlands of Calcarata by Wendall Roy, are coming your way starting on Friday, but today brings you Kate Baker’s spectacular fiery foundry world in Legendary Worlds: Volretz (Starfinder)! Dare the slag seas and the incinerating heat of a blast furnace planet where survival is just another commodity you spend in search of untold wealth in the molten mines! Grab it today at the Legendary Games webstore, Open Gaming Store, Paizo, and DrivethruRPG! Of course, Legendary Games has never been about just sci-fi and space adventure; we’ve also got a metric ton of fantasy products in production and on the way, including our latest class supplement, Legendary Hybrids: Skinchanger! 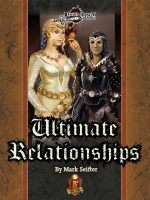 This subtle, sneaky, and seductive blend of a druid’s shapeshifting with a vigilante’s undercover cool creates an infiltrator par excellence, complete with feats, favored class bonuses, and awesome archetypes like the shape-blending chimerist, the moon-mad lycanthrope aspirant, and the sinister shape-thief! You can grab this brand-new hybrid class at the Legendary Games webstore, Open Gaming Store, Paizo, DrivethruRPG, and Amazon! Last but not least, don’t forget our Heroes for Harvey Charity bundle at DrivethruRPG, raising money for local relief and recovery agencies in South Texas who are helping people affected by the devastation of Tropical Storm Harvey. Get three awesome books from Legendary Games – Aetheric Heroes, Nautical Heroes, and Planetary Heroes – almost 60% off for just $9.99, and ALL THE PROCEEDS GO TO CHARITY! Enjoy our fictional heroes while you help support real heroes! Into the Depths of GenCon Week with Legendary Planet! Today we are excited to release the latest chapter in the Legendary Planet adventure saga for 5th Edition, the incredible aquatic invasion epic, The Depths of Desperation (5E)! Journey to the water-world of Vareen, where the implacable bil’djooli have mounted an all-out assault in the name of the Ultari Hegemony and their dread masters. Your heroes must rally their aquatic armies and allies while seeking out the secrets of this strange submerged planet where dry land is a myth! Pick up this awesome adventure today at the Legendary Games webstore, Open Gaming Store, Paizo, and DrivethruRPG! But wait, that’s not all! Of course you can get great bonus material for your interplanetary campaign in the Legendary Planet Player’s Guide (5E), interstellar gateways in Stargates (5E), and in our upcoming line of Legendary Worlds ready-to-play planets of adventure coming up right after GenCon! 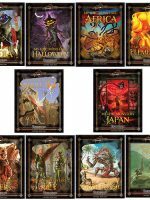 These products and more, as well as the full line of Legendary Planet adventures can be found for Pathfinder Roleplaying Game as well at the Legendary Games webstore, Open Gaming Store, Paizo, DrivethruRPG, and most titles on Amazon as well! Starting this Thursday, you’ll be able to grab this incredible product line for the new Starfinder Roleplaying Game as well, and you can even pick up the debut adventure, To Worlds Unknown (Starfinder) in person at GenCon, either by preordering it from us at the Legendary Games webstore or in person at the booths for Studio 2 Publishing (1929 and 2029) or Lone Wolf Development (343), with tons more Starfinder material coming as soon as layout ramps back up after GenCon. And last but certainly not least, you didn’t think we were ONLY doing Legendary Planet, did you? We also have the latest installment in the amazing Legendary Hybrids series just about finished in layout, with a brand-new class blending stealth, subtlety, and shapechanging, the Skinchanger by David N. Ross and Patrick N.R. Julius! The skinchanger brings you a 20-level hybrid class that combines the druid’s shapeshifting with the vigilante’s flexibility and brilliantly devious ploys. They can transform into almost any shape and pass as anyone they have studied. Those who survive learning of these secretive operatives struggle endlessly with the fear that anyone they meet, no matter how trusted, might be a disguised skinchanger watching for the perfect opportunity to strike. You can grab this killer class book very soon from Legendary Games! DOOM is upon you! And Orphans are coming! Today brings the dazzling debut of the deadly DOOMGUARD! This terrific 20-level hybrid class blends the hunting prowess of the ranger with the courageous challenge of the cavalier, with a heavy dose of dread, despair, devotion, and doom as this fearsome warrior ventures to meet his fated enemy and kill or be killed! You can pick up this new 38-page class book, with the full class, 45 different dooms, and 4 awesome archetypes at the Legendary Games webstore, Open Gaming Store, Paizo, DrivethruRPG, and Amazon! This book marks the Legendary debut of Carl Cramer, but he’s not the only author setting sail soon on his maiden voyage with LG, as next week will mark the debut of a new author and a new PRODUCT LINE! The terrific team of Michael Allen and LG stalwart Matt Goodall are bringing you the 1st level adventure, Orphans of the Hanged Man, which fits in nicely with our Red Queen Plug-Ins; however, it is also unique in that it represents our first foray into one-on-one adventures! 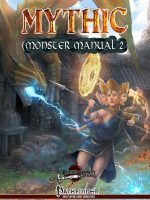 You can play this adventure with a small party with a small amount of adjustment, but it’s been tailored for one-on-one play with a single player and GM! Even better, it is just the first in a series of one-on-one adventures that we’re creating to form an entire one-player adventure saga! Here’s a quick preview of this exciting new adventure! It takes a special kind of thief to escape the noose, and the legend of the Hanged Man and how he cheated death has been the stuff of barroom boasts for years. Whether he finally died and returned as a ghost, or set sail for a tropical island with his ill-gotten gains, someone has been using his noose as a calling card across the city. At the same time, the street gangs of the slums have risen up to in a wave of theft and violence that have the city on edge. When their predations strike a bit too close to home for your heroes, you must seek out the hidden masters of the city’s seedy underbelly to put a lid on this urban uprising before things get out of control! Orphans of the Hanged Man is a Pathfinder Roleplaying Game adventure for 1st-level characters. 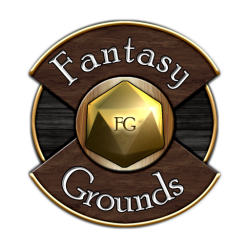 It can be easily expanded for a small or standard group of PCs, but it also is ideally suited for use as a one-on-one adventure with a single PC and GM. It can be run as a standalone adventure or side-trek, as a complement for the first adventure in the official “Red Queen Adventure Path,” or as the first adventure in full-scale one-on-one adventure saga! Bring home this 40-page urban adventure with a touch of whimsy for your Pathfinder Roleplaying Game and Make Your Game Legendary! Of course, we can’t miss a chance to remind you to SAVE BIG MONEY RIGHT NOW with the incredible 60 BOOKS, 30 BUCKS PATHFINDER MEGA-BUNDLE and the 20 FOR 20 5E MEGA-BUNDLE! 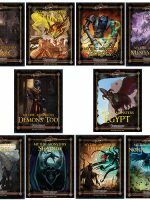 Save over 80% on 5E products and over 90% on Pathfinder products with these incredible deals! You can get this bundle all month long right here at the Legendary Games webstore, Open Gaming Store, and DrivethruRPG, and next month at Paizo! 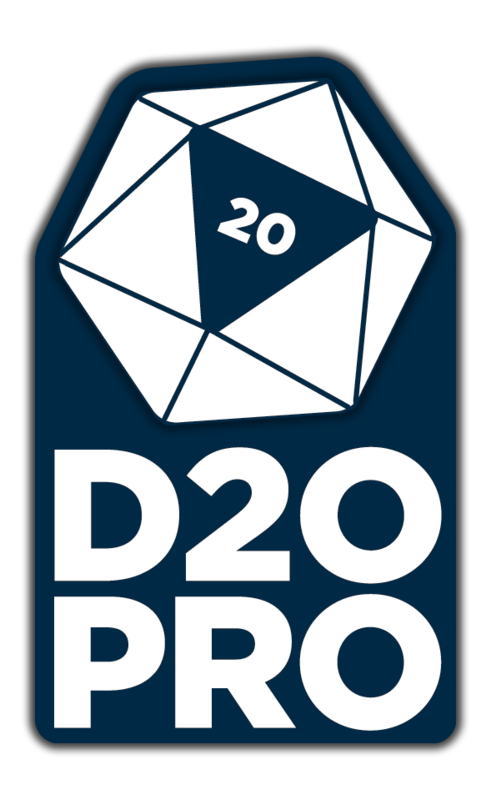 5E fans can get in on the fun too, with the 20 FOR 20 5E MEGA-BUNDLE, available at the Legendary Games webstore, Open Gaming Store, and DrivethruRPG! Far East Friday is here – and more is on the way! Today we are pleased to present a double-dip of fantastic Far East-flavored Pathfinder products! First off, you can pick up an amazing assortment of Asian enchantments in the Asian Spell Compendium, with 110 arcane, divine, and psychic spells for 20 different classes. From flame shuriken to rain of sacred lotus petals, tiger trap to divine wind, you’ll find a ton of great new options to give your magic the mystery and majesty of the Orient. 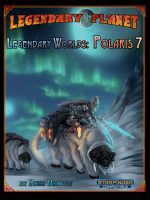 Grab this book today the Legendary Games webstore, Open Gaming Store, Paizo, DrivethruRPG, and Amazon! We also have a brand-new 20-level character class for those who walk on the shady side of life, Legendary Hybrids: Yakuza! This clever combination of the cavalier and ninja (not even kidding) is all about stealth and subterfuge alongside tattoos and treachery… and teamwork! These masters of gang warfare are lords of the city’s underbelly, but have a wide variety of tactics and tricks that make them excellent adventurers in any situation. Check out this new class by Jason Nelson and N. Jolly right now at the Legendary Games webstore, Open Gaming Store, Paizo, and DrivethruRPG! Of course, this week also brought you a spectacular supplement featuring the myths and legends of southwestern Asia in Mythic Monsters 45: Middle East, with creatures from Persia, Mesopotamia, Israel, and Arabia by Loren Sieg, Victoria Joyner, and Jason Nelson! And, last but not least (except in terms of the price), we have our TWO$DAY product of the week, the newly minted 5-star-seal-of-approval awesome Past Lives: Secrets of Reincarnation, an incredible expansion to the idea of coming back from death, and how the spirits of the past might linger and rise again in your heroes! Check it out at 70% off, just $2! We also are rolling on towards some fantastic new character options for next week as well, with Intrigue Archetypes and Magitech Archetypes in the final stages of layout and coming your way soon! Cover previews and more will be up this weekend! Thanks for all your support of Legendary Games! Tomorrow brings you a delightful double-shot of fantastic Far East Friday goodness with the Asian Spell Compendium and Legendary Hybrids: Yakuza! Having already given you a look at what’s coming with those spells, today it’s the Yakuza’s turn! Legendary Hybrids: Yakuza is the latest volume in our series of class-focused player supplements, introducing a new series of hybrid classes like those in the Pathfinder Roleplaying Game Advanced Class Guide that blend the core elements of two different base classes into a unique synergy all their own. The yakuza is a 20-level hybrid class that combines sneakiness and skullduggery with the power of teamwork and organization, bringing together the tactically minded and charismatic cavalier with the shadow-stepping ninja to produce a deadly combination of secret societies and smuggling, wielding the power of their gangs to rule the black markets with equal parts backstabbing and bravado. In addition to the yakuza class and 5 gangs like the Blood Tong and Jade Triad, you’ll also find 8 incredible archetypes from the gun runner and tattooed one to junk pirate and flying tiger, plus favored class bonuses, yakuza feats, and a ready-to-use sample yakuza gang boss, Shinsuke Tatsu of the Dragon Lords! 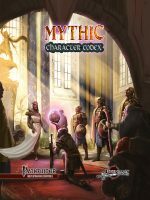 Grab this 30-page Pathfinder class supplement and Make Your Game Legendary! Both this book and the Asian Spell Compendium will be available starting tomorrow everywhere fine Pathfinder products are sold, but these are not the last Asian-themed products we have on the way! Our Mythic Monsters team, having already brought you monsters from China and India, is now hard at work on Mythic Monsters: Japan, and of course we also have the incredible Asian Archetypes: Magical coming your way soon, with bloodlines for sorcerers and bloodragers alike as well as some fantastically fun new archetypal options, like the Kaiju Caller, an archetype for the unchained summoner. Since we’re in a previewing mood, here are just a few of its class features! Chant of Doom (Su): At 8th level, a kaiju caller can expend one daily use of his summon monster spell-like ability while bellowing a terrifying primal chant imploring the attention of the great kaiju. This causes the sky to seem to grow dark, the wind to rise, trees to sway, and the distant tread of enormous footsteps to be heard and felt, interspersed with faraway echoing screeches and roars that slowly draw closer. Living enemies within 30 feet of the kaiju caller automatically become shaken (no save) as long as he continues to chant, up to a maximum number of rounds equal to his Charisma modifier or his number of ranks in Perform (singing), whichever is less (minimum 1 round). This cannot cause a creature to become frightened or panicked, even if they are already shaken. Beginning this chant is a move action but maintaining it is a free action in subsequent rounds. The kaiju caller can take other actions while chanting but cannot cast spells with a verbal component or speak command words while maintaining the chant. If the kaiju caller is deaf, he has a 20% chance for this ability to fail without effect, still expending one use of his summon monster ability. This is a sonic mind-affecting fear effect, and deaf creatures are immune to it. If a kaiju caller has a drum or similar percussion instrument, he may play this instrument rather than chanting in order to create this effect (using Perform (percussion) in place of Perform (singing) to determine the maximum duration he can maintain the effect). If he does so, he can speak and utter command words while maintaining the chant but must use both hands to continue playing the instrument and so cannot cast spells with somatic components or perform other actions requiring his hands. While this expends a use of his summon monster ability, using it does not interfere with the kaiju caller’s ability to summon other monsters or his eidolon. Invoke Disaster (Sp): At 20th level, a kaiju caller can expend two uses of his summon monster spell-like ability in order to create a localized natural disaster, duplicating the effect of any of the following spells: control weather, earthquake, storm of vengeance, tsunamiAPG, whirlwind. Alternatively, he can expend all of his daily uses of summon monster in order to call a kaiju to him. This may be a specific kaiju or spawn of the destroyer known to exist in the campaign world, or may take the form of a tempest, thalassic, or thunder behemothB3. The kaiju or spawn arrives within 1d100 minutes and is not under the kaiju caller’s control. After using this ability, the kaiju caller takes a number of points of Constitution damage equal to the level of the spell he duplicates (or 10 points of Constitution damage for summoning a kaiju) and becomes exhausted. A successful Fortitude save (DC 20 + the spell’s level) reduces Constitution damage by half and leaves the kaiju caller fatigued rather than exhausted. This replaces twin eidolon.